Organic light-emitting diodes (OLEDs) offer several features which make them an ideal solution for a large variety of applications. Especially, portable devices benefit from the minimum space and power requirements of OLEDs. 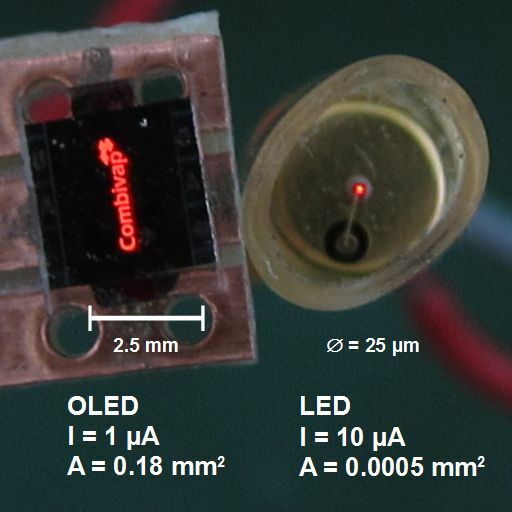 Comparison of OLED versus LED as ultra-low current indicator. Advantageous are the lower currents at larger arbitrarily shaped emitting areas. 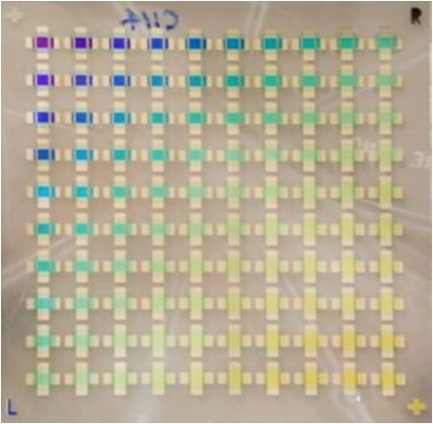 OLEDs can be customized for almost any shape of emission. See some typical OLED Applications.